By Kay Tan in Startups. Updated on December 20, 2018 . Google recently discontinued the free version of Google Apps for small businesses. Previously, you can use Google Apps for your small startup business for free (up to 10 users). 99.9% uptime guarantee with the price of $50/user/year. You still can sign up on a 30-day free trial if you want to test Google apps out. But if want to try out Google Apps for your business for the long term, there is a simple solution to sign up for Google Apps for yourself (1 user), and for free. 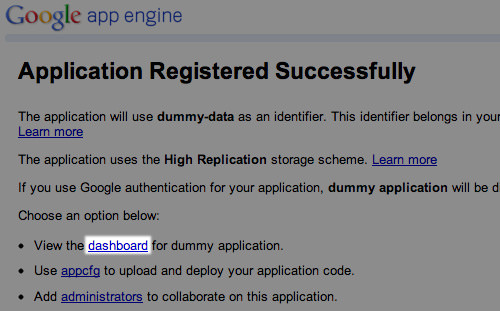 Here’s how to sign up Google Apps for free via Google App Engine. Sign up a Google account. 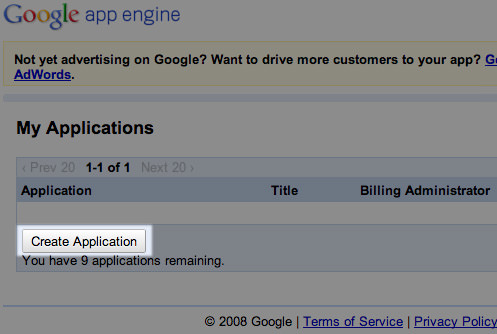 After that, sign in appengine.google.com with your Google Account. Click on "Create Application" to proceed. Fill in the requested information with dummy data and click "Create Application" to proceed. In “Application Registered Successfully” page, click on “dashboard” text link. In dashboard, look for "Application Settings" on the left panel and click on it. Under "Domain Setup" section, click on the Add Domain… button. Now you will be able to see a link named Sign up for Google Apps Standard. Click on it to sign up Google Apps for free. 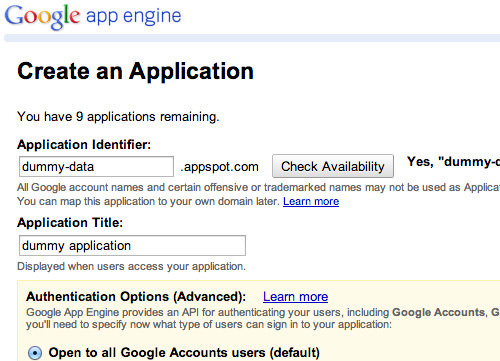 You’ll be redirected to a sign up page where you’re allowed to get started with Google Apps for free. 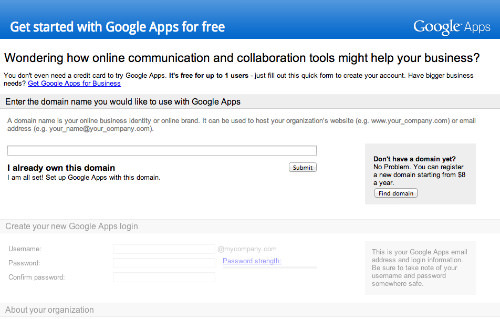 With the steps above, you can sign up Google Apps for free, but only for 1 user. It is a pretty useful workaround to use Gmail or other services to fit your business with your custom email address.